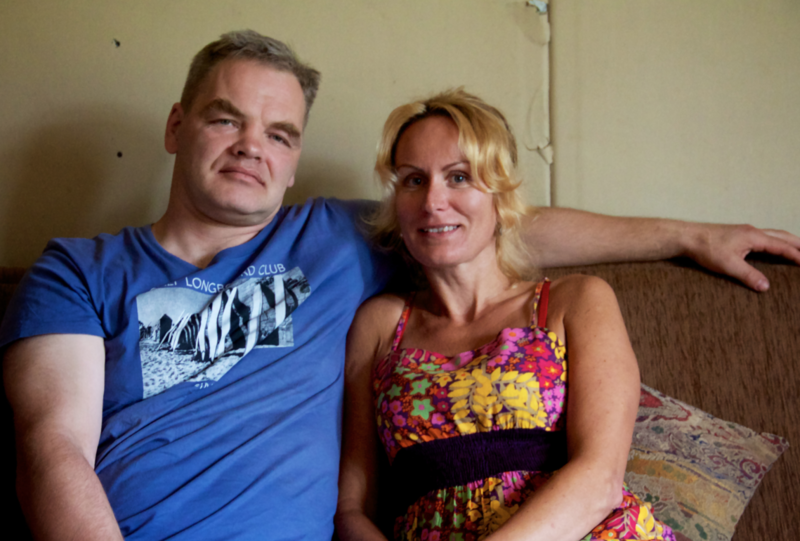 The Latvian couple have worked as newspaper and coupon leaflet couriers for over a year. They are a part of about 70,000 émigrés who have reluctantly left their homeland after Latvia’s deep recession, followed by painful austerity cuts and high unemployment. “I had to force Peteris to get into the car. He didn’t want to leave Latvia,” Inese remembers on a rainy day this August. But similar to their Latvian friends in Bergen, the couple left in 2010 after Peteris was unemployed for two years and could no longer make his mortgage payments on the 14,300 euros they loaned from the Hipotekas Banka. Selling the house in a real estate market that dropped by an estimated 50% in 2009 didn’t make sense either. “The bank would sell the house, but at least half of our debt to the bank and court officials would remain,” Peteris explains sitting in their Cesis home, a modest one story brick building with unfinished walls and sparse furnishings. Peteris thinks it will take him another 3 years to repay their debt at their current rate. They don’t know when they’ll be able to return.